Sharon Wehner has been delighting audiences with her beautiful technique and dramatic, intense interpretations since 1995 at the Colorado Ballet. A California native, the 5-foot dynamo trained with the Studio Roxander Academy, San Francisco Ballet School, San Jose/Cleveland Ballet School and pre-professional company San Jose Dance Theatre. Described as energetic and riveting to watch, Wehner was promoted to Principal of Colorado Ballet in 1999. This spring she is dancing concurrently with the Oakland Ballet Company, with whom she just completed a successful run of their exciting premier program, Forwards!, which featured contemporary ballet and visual arts collaborations. The repertory of the Colorado Ballet includes an enormous variety for a company of its size, including full-length classical standards, many full-length modern classics such as Peter Pan, Beauty and the Beast and Dracula, and an assortment of works by twentieth and twenty-first century choreographers like Tudor, Balanchine, de Mille, Forsythe, Wheeldon and Liang. These opportunities seem to have provided a superb palette for the Wehner to express herself and grow to become the capable artist that she is. 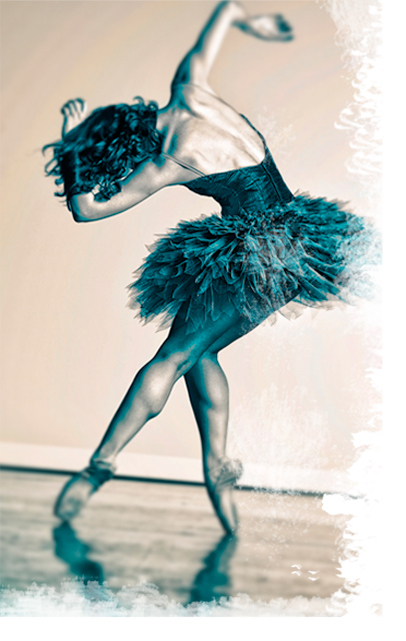 If you can’t make it to a performance of Colorado or Oakland, you can find beautiful shots of Ms. Wehner and other Colorado Ballet dancers in the 50th Anniversary Commemorative Book of the Colorado Ballet, available here.